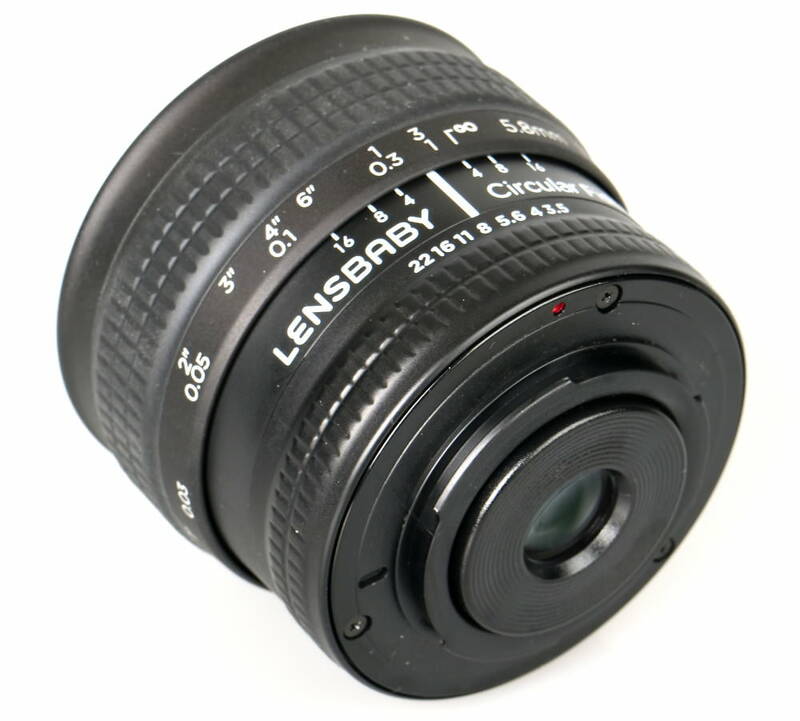 Gary Wolstenholme reviews the Lensbaby 5.8mm f/3.5 Circular Fisheye lens for interchangeable lens cameras. 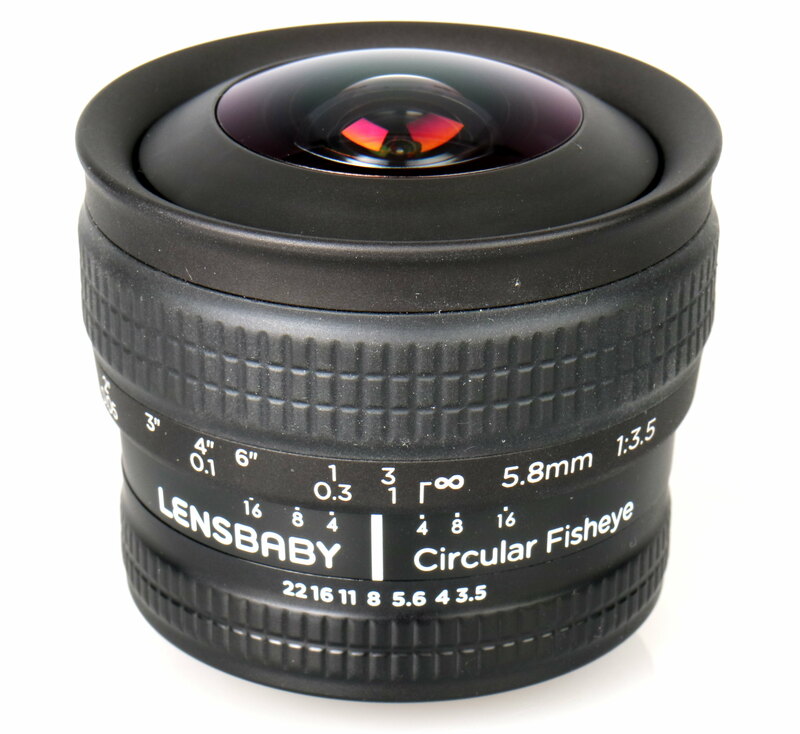 This circular fisheye lens from Lensbaby is available to fit Canon, Nikon, Pentax, Sony, Samsung and Micro Four Thirds cameras. It offers an extremely wide field of view of 185 degrees, with the barrel distortion effect you'd normally expect from a fisheye lens. The lens is manual focus, sports a maximum aperture of f/3.5 and costs around £210. In this review, we'll take a look at how it performs. For a lens pitching in at the budget end, build quality is decent enough, although the lens doesn't feel quite as well constructed as other manual focus budget options from the likes of Samyang. The lens barrel and bayonet are constructed mostly from plastics, plus the manual focus ring feels slightly gritty and aperture control feels slightly loose in operation. Even so, the lens is lightweight, tipping the scales at 220g and it balances well with the Nikon D600 camera used for testing. Focusing is performed internally, so the lens barrel does not extend during focusing. Due to the extreme angle of view it can be very easy to let your finger slip into the view of the lens, marring the corner of images. So long as suitable caution is taken, this can be avoided. Minimum marked focus distance is 10cm, which will be great for shooting in claustrophobic environments or even for the occasional close-up image. The focusing ring travels beyond this point so the closest focus distance may even be closer. As far as sharpness is concerned, the performance of this lens is similar to what is typical of high-end fisheye optics, with excellent sharpness in the centre of the image circle from maximum aperture. 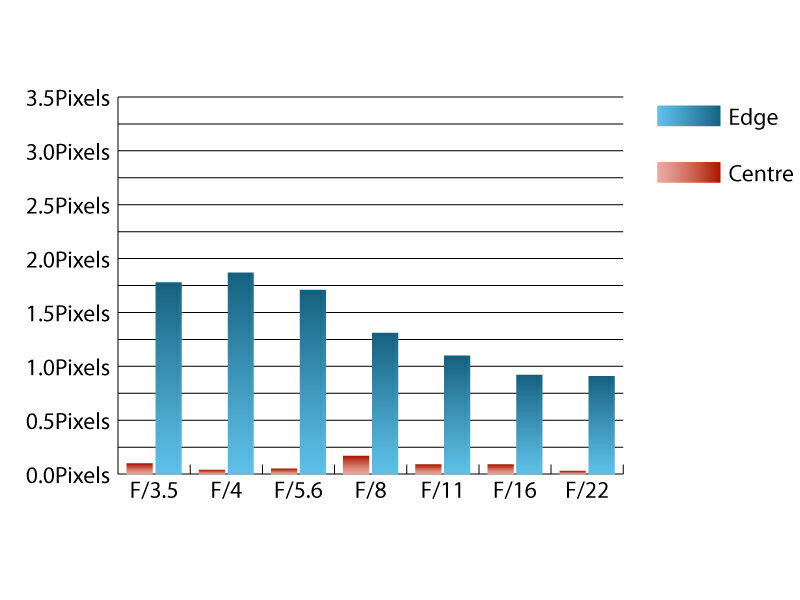 As the aperture is stopped down, sharpness towards the edges of the image circle improves steadily from fairly poor levels at maximum aperture, to very good levels at f/11. The blue column represents readings from the centre of the picture frame at the various apertures and the green is from the edges. 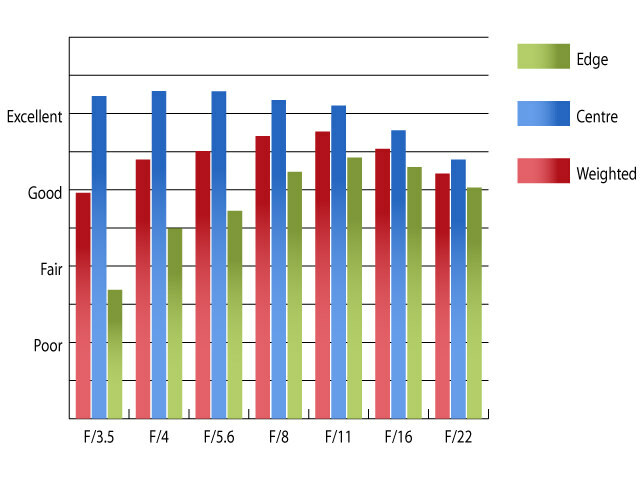 Averaging them out gives the red weighted column. 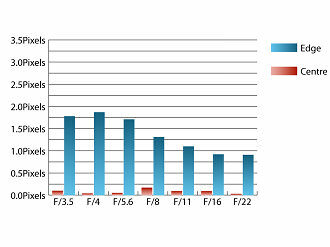 The scale on the left side is an indication of actual image resolution. The taller the column, the better the lens performance. Simple. 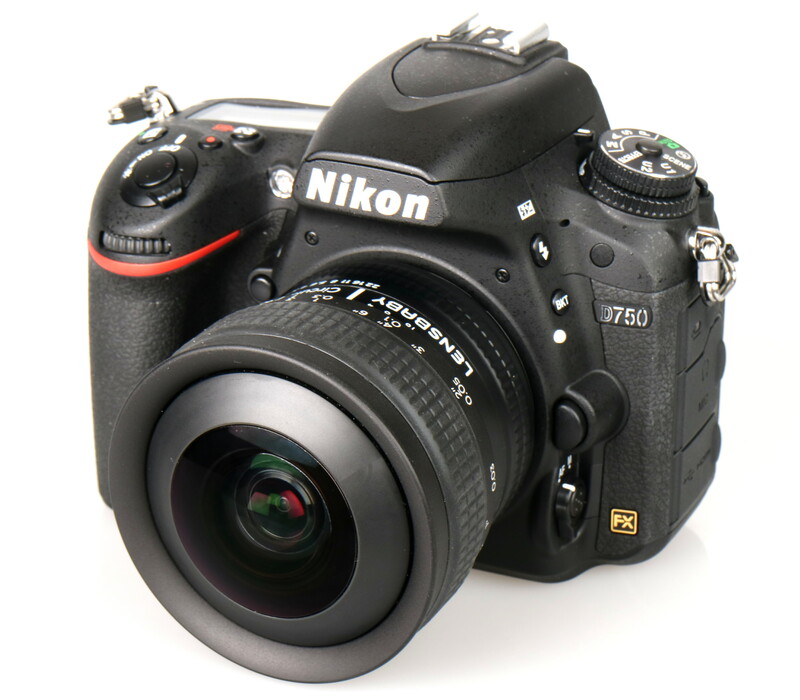 For this review, the lens was tested on a Nikon D600 using Imatest. Typically, for fisheye optics, chromatic aberrations can be a feature along high contrast edges towards the edges of the image circle with fringing exceeding 1.75 pixel widths at f/4. Chromatic aberration is the lens' inability to focus on the sensor or film all colours of visible light at the same point. Severe chromatic aberration gives a noticeable fringing or a halo effect around sharp edges within the picture. It can be cured in software. Apochromatic lenses have special lens elements (aspheric, extra-low dispersion etc) to minimise the problem, hence they usually cost more. Distortion is as you might expect from a fisheye. Using a fisheye lens will always be a creative choice, where the distortion is used to enhance your image. 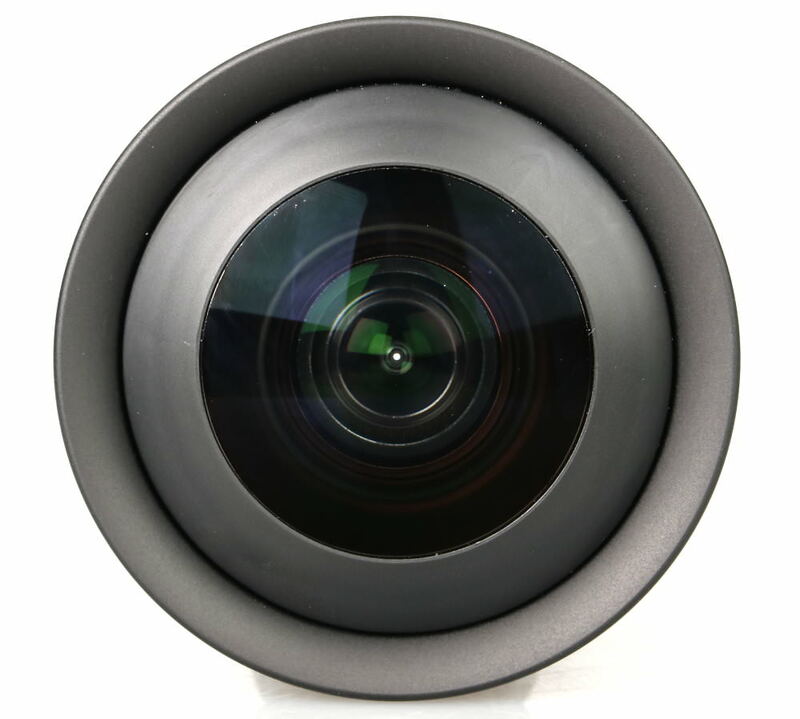 As is common with fisheye lenses, strong point sources of light can cause flare and loss of contrast, even so, this lens isn't anymore, or less susceptible to flare than most other fisheye lenses. The £210 price of this lens is a little cheaper than the closest circular fisheye equivalent from Samyang. Their 8mm f/3.5 AS IF MC CS II lens costs between £220 and £270 depending on the mount. Those looking for a budget circular fisheye could do a lot worse than this lens. It offers excellent sharpness in the centre of the image circle for a decent price. The build quality and handling do leave some room for improvement, but this may be easy to look by, especially considering the image quality on offer for the price.